English immersion courses | Full Immersion for adult professionals. Total immersion in English – the most effective course! Our English immersion courses are designed so that you learn as much as possible in the shortest possible period of time. The best of an intensive English course with an academy. Our personalised teaching methodology will ensure that the classes of our English immersion courses adapt to your needs and that you will achieve improvement in the areas where you feel that you most need it. MovingOn Courses has an average of 2.5 students per teacher during 12 hours of the day. We have taken these figures following years of organising summer courses during which the majority of academies work with an average of 9 to 12 students per teacher, students who are given free time during the afternoons. The English immersion courses start every week of the year in our home/hotel in Bangor, Northern Ireland. 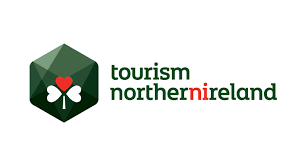 Bangor is coastal town, a popular destination for local tourism and located 30 minutes from Belfast City Centre. The school is actually our home whis is a small hotel one minute from the sea and marina. 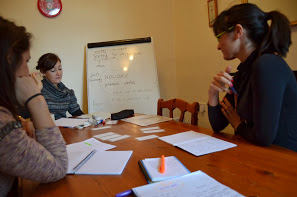 Why choose our immersion English course and not a one to one English course? Firstly, you can choose to have one to one classes with MovingOn Courses but we do not recommend the additional cost. 12 hours speaking English with your teacher (and one or two more students) is a long day. Our immersion course can provide more ener gy, interest and student interaction compared to a typical private course. Unless you have a specific need you will learn just as much in a small group. Normally the decision is one to one or a a typical academy with groups of 8 to 16 students in class. Why choose our English immersion courses and not an intensive English course? “Intensive course” can be a vague term. Just because you have a few extra classes each week (with a large group of students) does not make a course genuinely intensive. We will send personalized information about your course in less than 48 hours.